FAR AIM — Aviation Mobile Apps, LLC. 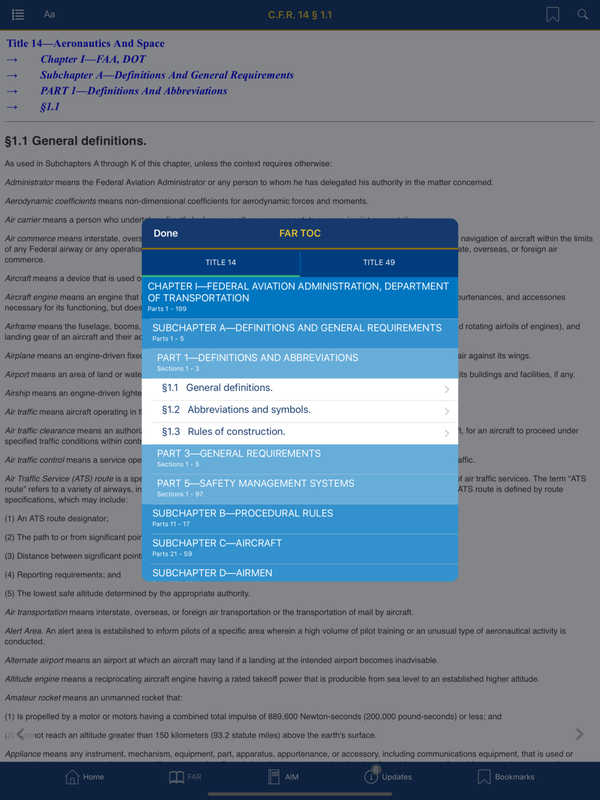 FAR AIM is a fast and convenient app for pilots and aviation enthusiasts who reference the Federal Aviation Regulations and the Aeronautical Information Manual. 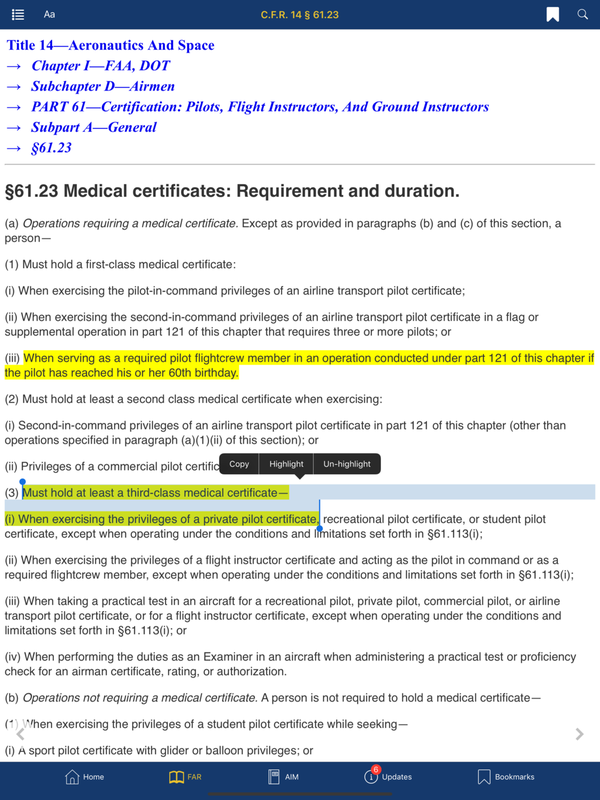 The app includes all of CFR Title 14 and Title 49 Subtitle B along with a regularly updated editorial compilation of CFR material and Federal Register amendments. 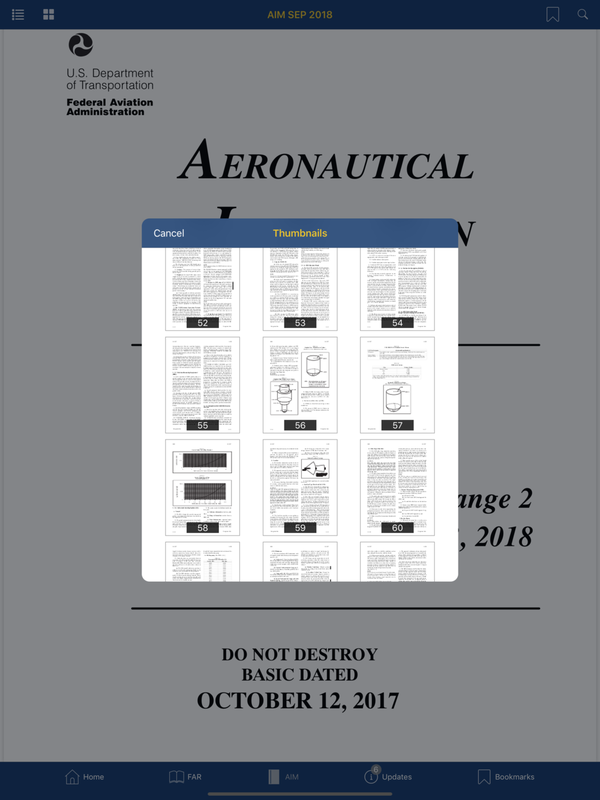 We also include a guide to understanding the Federal Aviation Regulations and the latest copy of the Aeronautical Information Manual. Users tell us they love that they can finally see exactly what changed between regulation updates with our exclusive before and after feature, which highlights new regulation text in green and modified text in red. They also tell us they love how easy it is to find relevant information with our fast search engine, and they appreciate how natural it is to access frequently referenced material on all of their devices with our bookmarks feature. They also like the ability to make the text bigger or smaller and love that we don't mess up their highlights or bookmarks when new updates are downloaded. 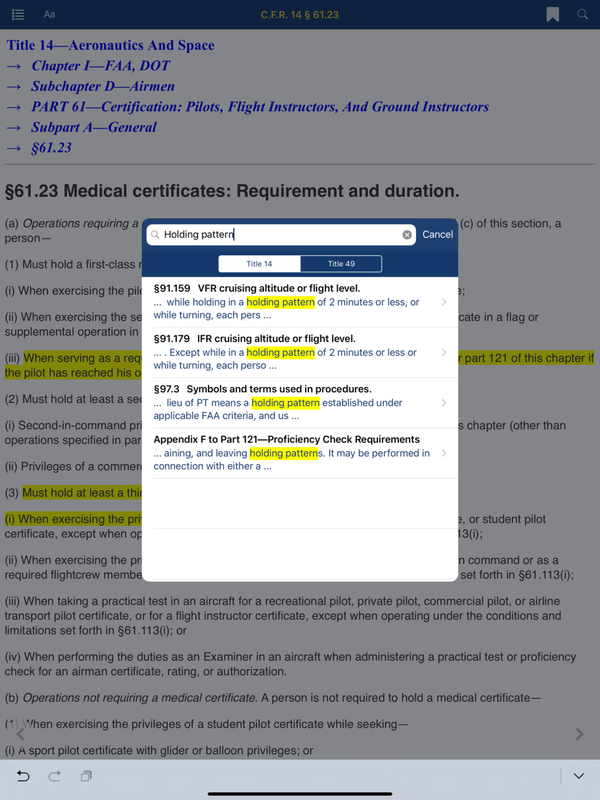 FAR AIM, by Aviation Mobile Apps, is the highest quality app available for consuming the US Federal Aviation Regulations and the Airman Information Manual. 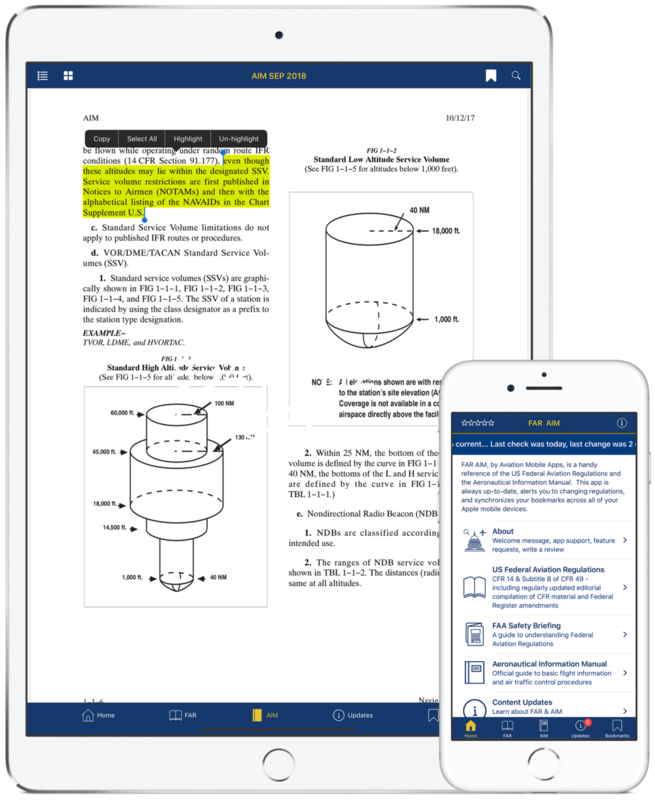 This app is always up-to-date, synchronizes your bookmarks and highlights across all of your Apple devices and sends you an alert when regulations you care about change. One time fee. No subscription necessary. Give FAR AIM a try today and see why everyone who tries this app, loves it!